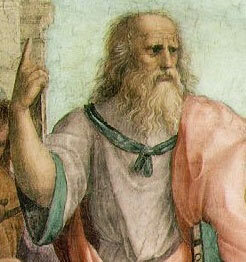 Plato, ane o the first filosofers tae discuss ideas in detail. Aristotle claims that mony o Plato's ideas wur Pythagorean in origin. In filosofie, ideas are uisually construed as mental representational eemages o some object.